This is known as risk assessment and it is something you are required by law to carry out. For some risks, safety Regulations require particular control measures. Your assessment can help you identify where you need to look at certain risks and these particular control measures in more detail. We can perform a single risk assessment in line with the requirements under all relevant OHS/WHS ACTs and Australia standard considerations eg. AS/NZS 4024 Safety Of Machinery Series. Instructions on how to use all the forms. This will enable you to be self-sufficient in conducting risk assessments. This is in line with current industry standards. 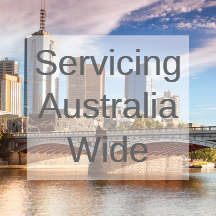 It will also provide the service with the legally required procedures and documents. Looking to do your own risk assessment training? 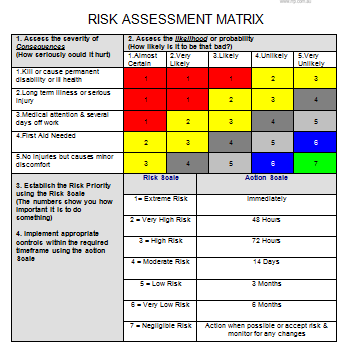 You can download our FREE Risk Assessment Matrix.